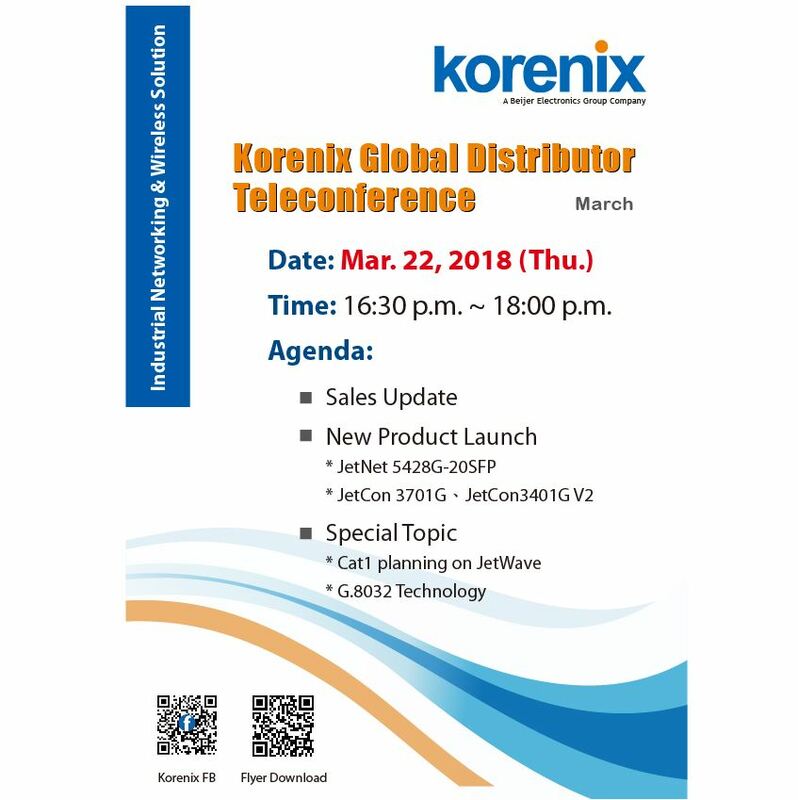 Starts in 2018, Korenix is going to hold bi-monthly Global Distributor Teleconference to ensure all partners and distributors get up-to-date information on Korenix latest products, technologies, and events. The March Global Distributor Teleconference is held on 22nd of March at 16:30 Taipei time. There will be sales update, new products launch on JetNet 5428G-20SFP and JetCon Series, and the special announcement on Cat1 planning and G.8032 Technology. Register now for the event and work closely with Korenix professional employees.